Chrysler put its electric vehicle efforts center stage for the Detroit auto show with a display of the latest versions of several production-intent EVs. The lineup included the Chrysler Town & Country EV minivan, Jeep Wrangler Unlimited EV and the Jeep Patriot EV. Chrysler also unveiled the all-electric plug-in Dodge Circuit EV, a Lotus Exige-based electric concept with an estimated range of 150-200 miles. The latest iteration now has its Dodge cross-hair grille and other Dodge styling elements fully in place. 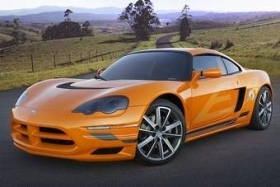 Chrysler has said it plans to put at least one of the electric vehicles into production in 2010; the company now promises at least three more EV models will follow by 2013. Chryslers broad portfolio of electric vehicle prototypes clearly demonstrates that we are well on our way to bringing electric vehicles to our consumers garages, said Frank Klegon, Chrysler executive vice president for product development. Between its ENVI electric-drive vehicles and GEM neighborhood electric vehicles, Chrysler wants to put 500,000 of its electric vehicles on the road by 2013. 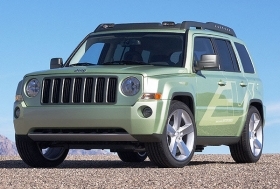  The Jeep Patriot EV, which combines ENVIs range-extending drive system with a compact front-drive sport-utility vehicle.  The Jeep Wrangler Unlimited EV uses a range-extending electric powertrain in an off-roader. Though only a 4x2 drivetrain as shown in Detroit, a 4x4 version is in development.  The Chrysler Town & Country EV, incorporating the same powertrain into its utilitarian front-drive seven-passenger minivan.